What’s holding you back from being brave enough to create the life you want? 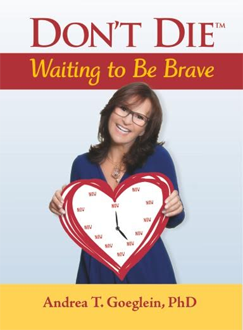 If you are waiting be brave enough to achieve your own life goals, the insights in this memoir will strike a chord. Success catalyst and business owner Andrea Goeglein shares pivotal moments of bravery on her own crooked road of success. Did you ever wonder if you would live to thrive again? If you think you know what life success is, you may be surprised to discover that it isn’t about a college degree, or job title, or hood ornament on your car. Experiencing loss can teach you more than all the things you acquired in your pursuit of success. How much could your life change in 31 days? Gary Russo started the month of August, 2011 as an ironworker, Local 40. He ended the month as the “2nd Avenue Subway Sinatra,” loved by millions and earning money through his music. Let Gary’s story inspire you to change your perspective and more. Wonderful and I will re-read it many times….At about the age and mastery when she could be resting on her rather significant laurels, Andrea Goeglein does the unimaginable. Her self-disclosure inspires magnificence in us, her readers to lead by example. I got the book yesterday and have already devoured it. Loved it. Not only a great story but the explanations and observations from a professional perspective are so helpful. It is also a testament to the insight, sensitivity, and professional acumen of Dr. Goeglein, that she so ably elicits, celebrates, and communicates Mr. Russo’s triumph – in a fashion that can inspire all of us. In an age of constant stimulation and 24/7/365 work, work, work, Andrea provides necessary wisdom and reminders regarding what is really important in our lives. 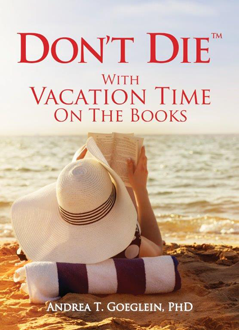 This book will inspire you to dream and take action on those dreams. It will show you that anything is possible. 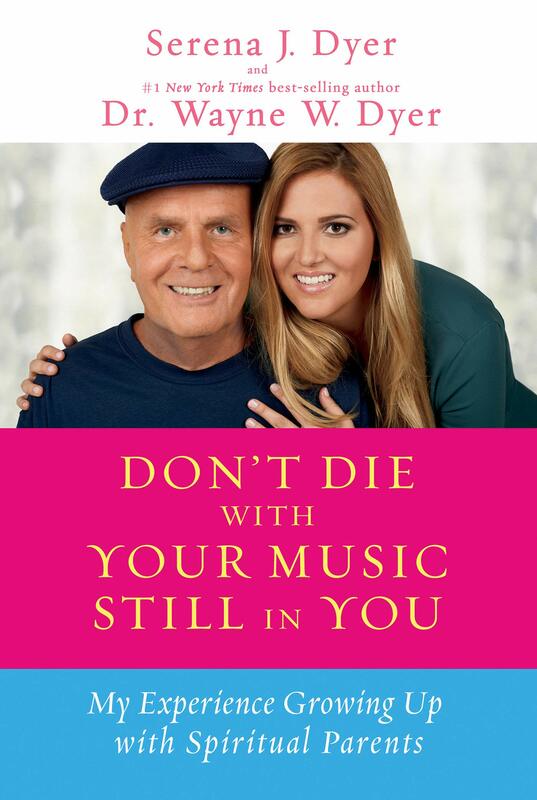 Andrea Goeglein is proud to announce the Hay House release of Don’t Die with Your Music Still In You: My Experience Growing Up with Spiritual Parents by Serena J. Dyer and Dr. Wayne W. Dyer. In 2001, Dr. Wayne Dyer wrote a book called 10 Secrets for Success and Inner Peace, based on the most important principles he wanted his children to live by. Serena Dyer, one of those children, has contemplated these ideas throughout her life. “Don’t die with your music still in you” has been the most important principle for Serena: to her, it means that you don’t allow yourself to live any life other than the one you were born to live. In this book, Serena sets out to explain what it was like to grow up with spiritual parents. She touches upon all ten of her dad’s original secrets, imparting her own experiences with them and detailing how they have affected the way she approaches various situations in life. She shares stories, struggles, and triumphs‐and Wayne, in turn, contributes his own perspective. This unique father-daughter collaboration will warm the hearts of all parents . . . and inspire anyone who is looking to find the “music” inside themselves. Serena Dyer is the sixth of Wayne and Marcelene Dyer’s eight children. Serena attended the University of Miami, where she received bachelor’s and master’s degrees, and now lives in South Florida with her fiancé. She spends her time traveling, reading, blogging, and working to combat child trafficking through several local organizations. Dr. Wayne W. Dyer was an internationally renowned author and speaker in the field of self‐development. He was the author of more than 40 books, and created numerous audio programs and videos, and appeared on thousands of television and radio shows. Wayne held a doctorate in educational counseling from Wayne State University and was an associate professor at St. John’s University in New York.